Cloud House Farm is the perfect place for urban escapists to enjoy family life far away from Facebook and the X-box! 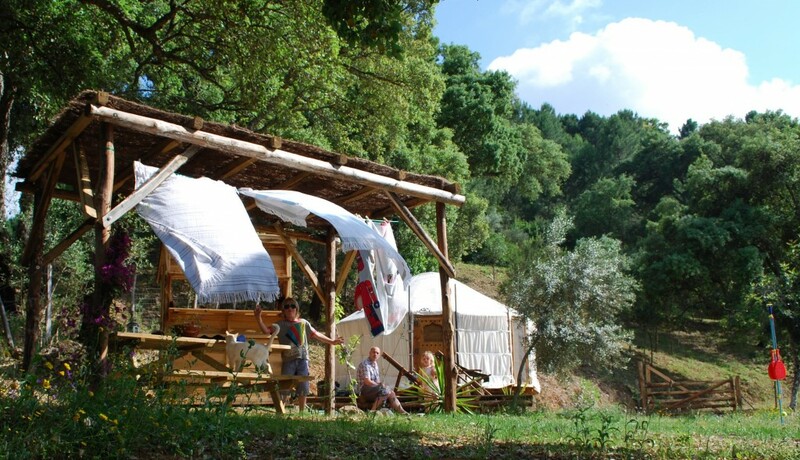 Its a place to reconnect with nature and explore a Glamping Retreat amongst the trees, where river pools and rope swings are never too far away. Each Yurt has its own private outdoor kitchen, shower house and eco loo. And an iPod doc for the parents. Our kids love to go hunting for frogs and fishes down at the river and we’ll happily lend you fishing nets for river pool adventures. Family Holidays by Cloud House.